September 6 was a Wednesday in 1972. 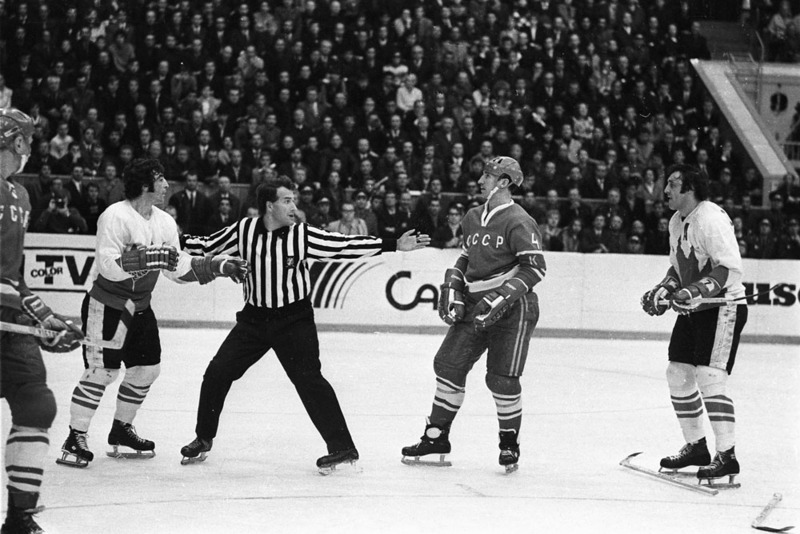 Four days had passed since the Saturday when Canada’s hockey team lost, shockingly, to the visiting Soviets in a rout. They’d redeemed themselves, a little, to the west, with a Monday win in Toronto. Now the teams had moved on to Winnipeg, where they were preparing to meet again under the gaze of the world’s largest rink-portrait of Queen Elizabeth II. Tuesday, in Munich, at the Olympics there, eight Arab terrorists had made hostages of 11 men from the Israeli team. After long hours of violence and blood, false hopes and failed negotiations, rescue efforts that didn’t succeed, the Israelis were dead. Not until 4 p.m. did some belated sense of decency dictate suspension of the obscene activity, and even then exception was made for games already in progress. They went on and on while hasty plans were laid for a memorial service tomorrow. Georgi Guzinov was the Soviet team’s trainer. The day before the first game in Montreal, he’d predicted that after three games the teams would have a win each to their credit along with a tie. He was right, of course: in Winnipeg the score was 4-4. Paul Henderson blamed himself. “I blew three chances,” he said afterwards. Tim Burke wrote in The Gazette that if not for the goaltenders, Canada’s Tony Esposito and Vladislav Tretiak for the USSR, the score might have been 10-10. Canada’s assistant coach, John Ferguson, said he was relieved “to settle for half a loaf.” Canada had been leading by 3-1 before they surrendered two shorthanded goals in the second period. 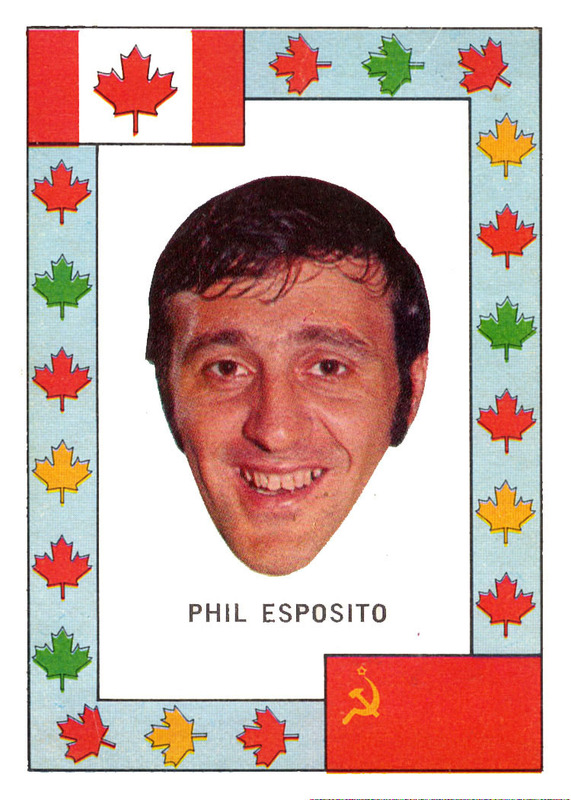 Canada’s scorers were J.P. Parise, Jean Ratelle, Phil Esposito, and Paul Henderson while Vladimir Petrov, Valery Kharlamov, Yuri Lebedev, and Alexander Bodunov got the Soviet goals. He was half-right, anyway. On the ice, so as not to interfere with timing for the TV broadcast, that hushed minute was cut down to 30 seconds. As for Ballard’s trophy, not sure what happened there. Mark Spitz was absent when the Leafs opened their season at home to Chicago on October 7, as was the Leafs’ Moscow hero, Paul Henderson, who was day-to-day (The Globe suggested) with aches and emotional drainage. I’m not even sure that Ballard was at the game. But then he did have a lot on his mind that fall. 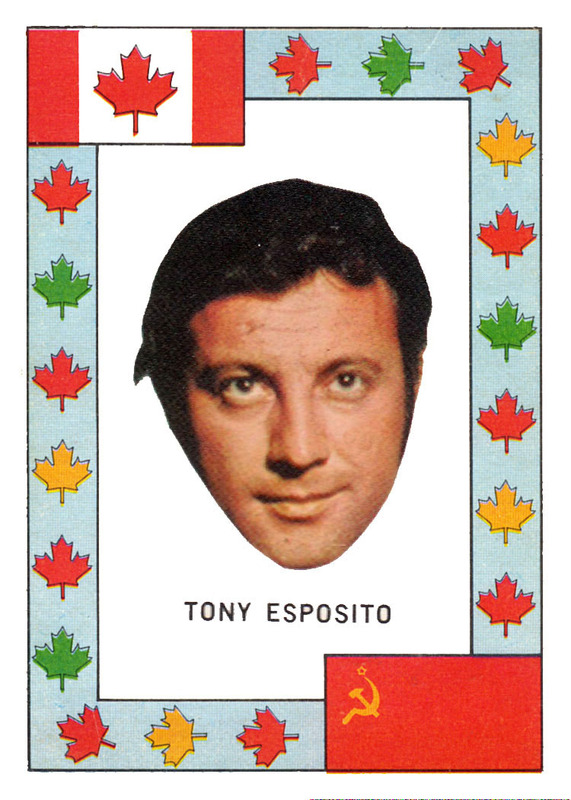 He’d been convicted in August of fraud and theft, and he watched Canada and the Soviets play while he was free on $50,000 bail. Lawyers had agreed to postpone sentencing until after the all-important series was over. It wasn’t until October 20 that he learned he was going to a penitentiary for three years.